Call for all the auction details - Property is available for showing at bidders request. Sold As is, Where is with all faults! Back to the Auction Block! Here is your second chance! Current zone is A-1. 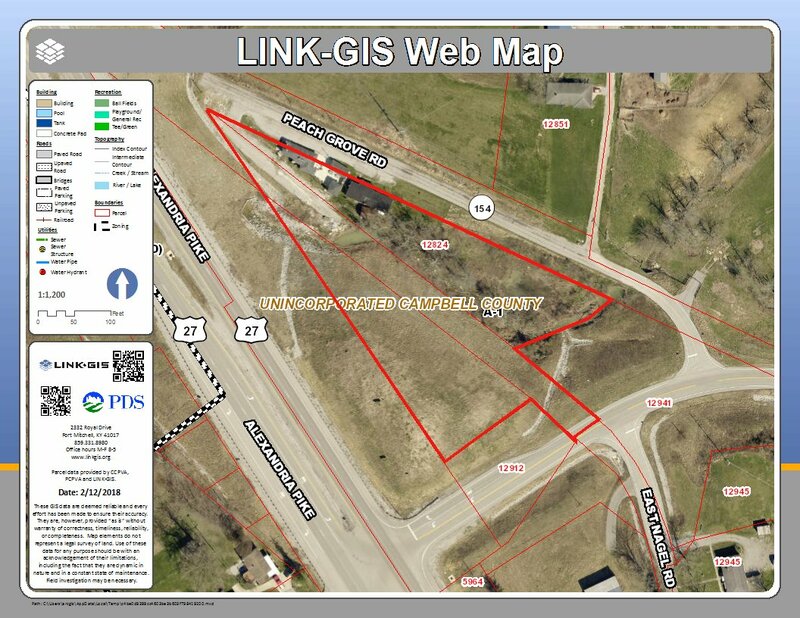 Commercial potential to be zoned RC ( Rural Commercial ) allowing Auto Repair , restaurant and tavern , Farm equipment etc. Schneider's Auction Service has been contracted to sell 12824 Peach Grove Rd. Alexandria, Ky 41001 at absolute auction! Formerly The Rabbit Hole was a local bar with a manufactured home onsite for extra income. Now is your opportunity to put your plans and ideas to work and build a wonderful business on the corner of Us 27 and 154! Fantastic investment opportunity to own a truely one of a kind property! Online Only Auction! -- Absolute Auction-- Sells to the highest bidder regardless of price! Property to be sold "As is, Where is" No warranties expressed or implied. All inspection and due diligence to be completed prior to bidding. 10% buyers premium to be added to winning bid to make final sale price. 10% down day of sale non-refundable. Close in 45 day.